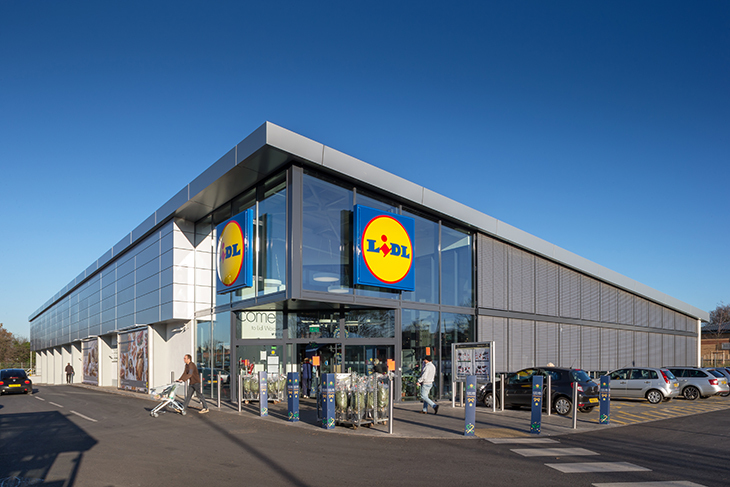 One of the first 3 new concept Lidl food stores in the UK, the aim of the development was to be sustainable, enhance the existing site through the creation of swales, green spaces/corridor and landscaping design and to increase the quality of biodiversity. 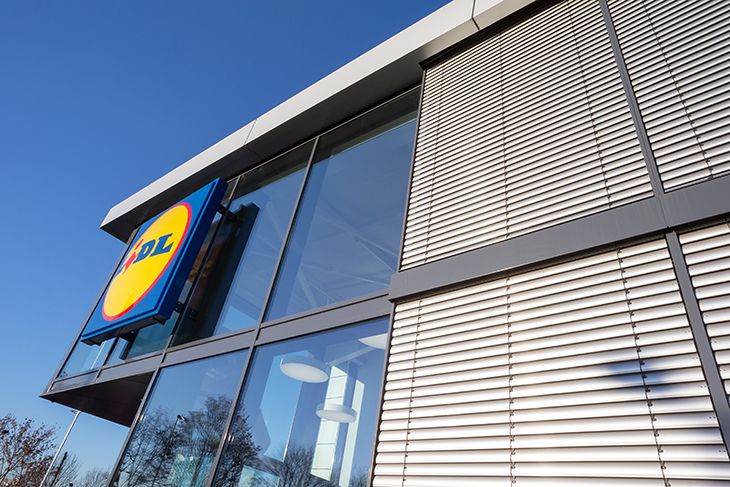 The 2500m² store had a sales area of 1424m², constructed in a clear span, steel frame structural system. This is a single storey contemporary design clad in silver colour aluminium wall panels that is reflective of its local environment. 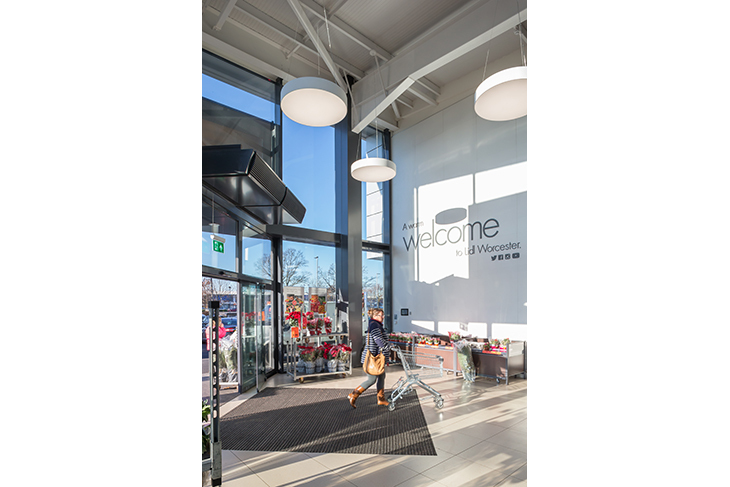 The full height shop front and entrance glazing offer activity on to the public realm, whilst at the same time maximising natural daylight penetration into the clean and contemporary interior. 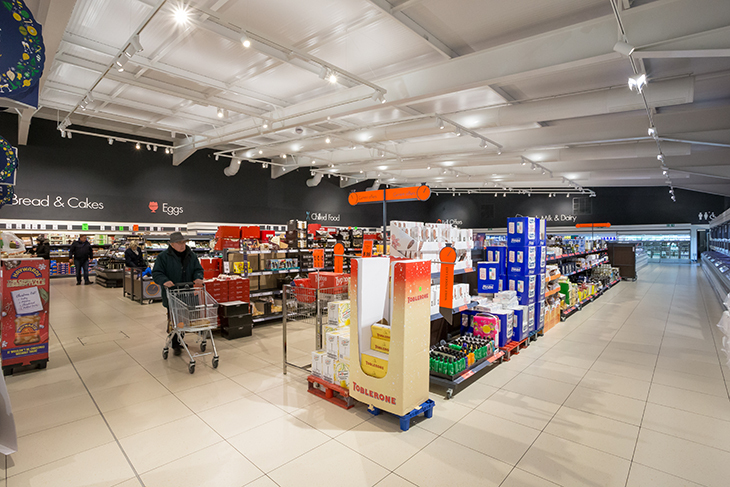 When combined with LED lighting, a 20% energy saving is achieved, compared with buildings of similar size. 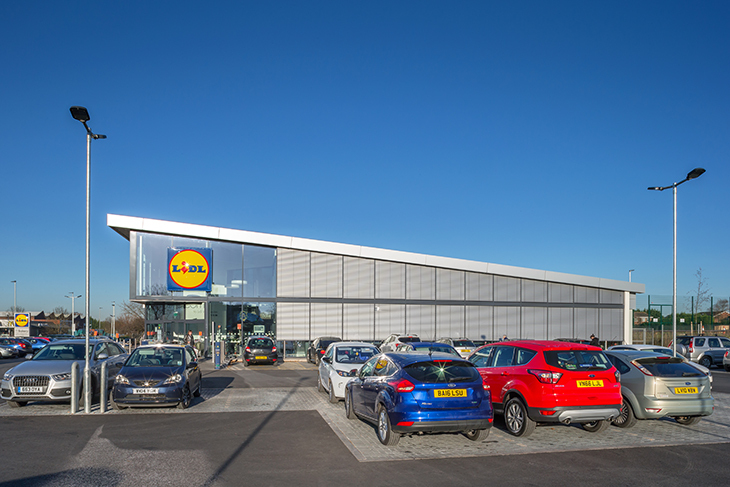 Nicol Thomas were appointed from Planning Application stage through to construction on site working closely with both Lidl UK and A&H Construction in delivering the scheme on time and on budget.